Both resolutions were delivered to the French Embassy and European Commission Representation in Bulgaria on 31 May 2016, in coordination with the actions of the other road transport associations as agreed – at noon in the EC representation and later in the afternoon in the French embassy in Sofia. 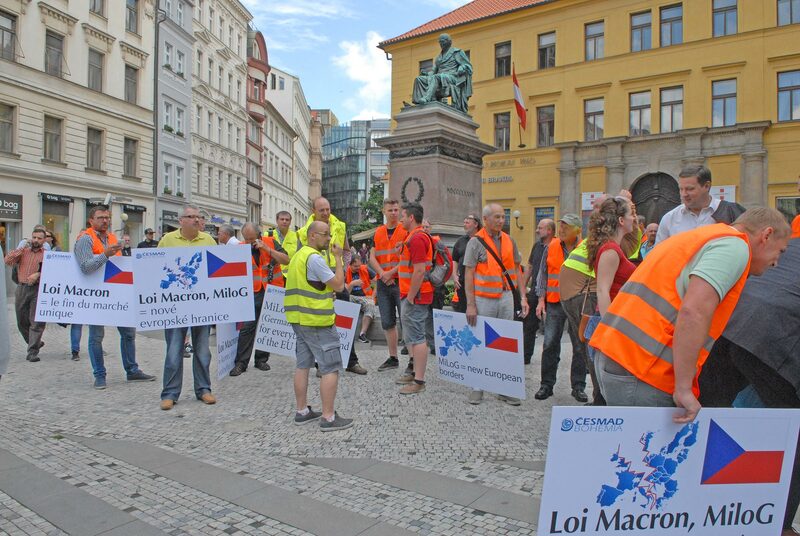 ČESMAD BOHEMIA had organised a protest in front of EC Representation in Praha on 31 May 2016 at 01:00 o’clock and from 02:30 p.m. at the French embassy. The representatives of ČESMAD BOHEMIA handed over the Resolution to Mr. Jan Michal (European Commission Representation in Prague) and to Mr. Laurent Toulouse (Embassy of the French Republic in Prague). 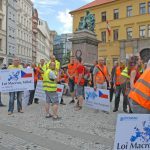 CESMAD Slovakia organised two visits at the French Embassy and European Commission Representation in Bratislava, handling the Joint RESOLUTION against loi MACRON and protectionist measures in road transport addressed to Mr. Jean–Claude Juncker, President of the European Commission and to Mr. François Hollande – President of France by ANTRAM (Portugal), ASTIC (Spain), AEBTRI (Bulgaria), CESMAD BOHEMIA (Czech Republic), CESMAD Slovakia (Slovakia), ERAA (Estonia), LATVIJAS AUTO (Latvia), LINAVA (Lithuania), MKFE (Hungary) UNTRR (Romania) and ZMPD (Poland). 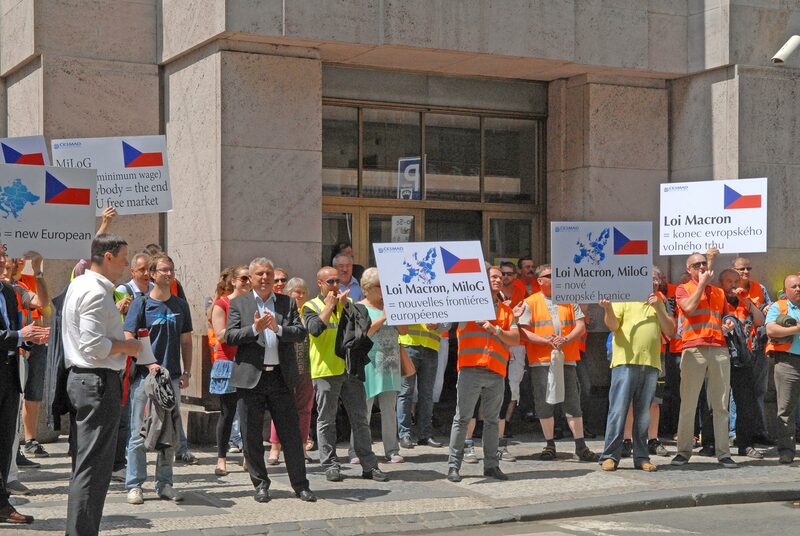 CESMAD Slovakia had a good discussion at French embassy where they were really interested in road hauliers problems with Loi macron. 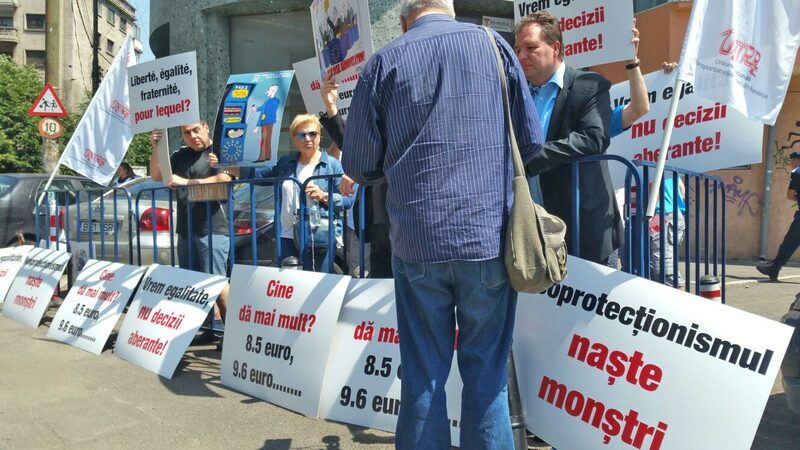 At European Commission they cancelled the meeting so CESMAD Slovakia gave a letter to assitant of Mr. Chrenek (Head of Representation) but it was disappointing as that was the very least they could do. Despite this it was good action and medias were interested in. You can find three photos at the this link. 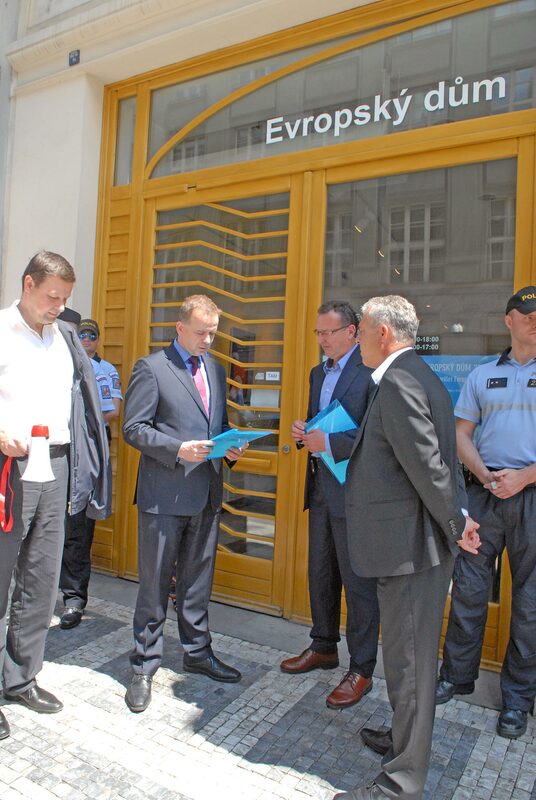 LINAVA has organized the protest on 30 May 2016 and has handed over the resolutions to the representative of European Commission and French Embassy in Lithuania (the ones mutually signed). They were promised that the resolutions very soon reach the addressee. LINAVA succeeded to get attention of a lot of media, main press, radio and tv. More information and photos are available here. MKFE organised two visits at the French Embassy and European Commission Representation in Hungary, handling the Joint RESOLUTION against loi MACRON and protectionist measures in road transport addressed to Mr. Jean–Claude Juncker, President of the European Commission and to Mr. François Hollande – President of France by ANTRAM (Portugal), ASTIC (Spain), AEBTRI (Bulgaria), CESMAD BOHEMIA (Czech Republic), CESMAD Slovakia (Slovakia), ERAA (Estonia), LATVIJAS AUTO (Latvia), LINAVA (Lithuania), MKFE (Hungary) UNTRR (Romania) and ZMPD (Poland). 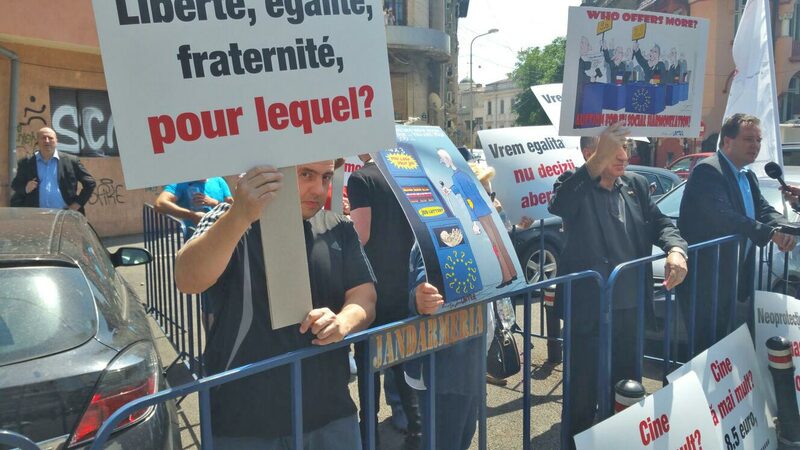 UNTRR organised the protest on 31 May 2016, 12.00-13.00 in Bucharest, in front of the Representation of European Commission in Romania. UNTRR handed the joint Resolution the Joint RESOLUTION against loi MACRON and protectionist measures in road transport addressed to Mr. Jean–Claude Juncker, President of the European Commission by ANTRAM (Portugal), ASTIC (Spain), AEBTRI (Bulgaria), CESMAD BOHEMIA (Czech Republic), CESMAD Slovakia (Slovakia), ERAA (Estonia), LATVIJAS AUTO (Latvia), LINAVA (Lithuania), MKFE (Hungary) UNTRR (Romania) and ZMPD (Poland). 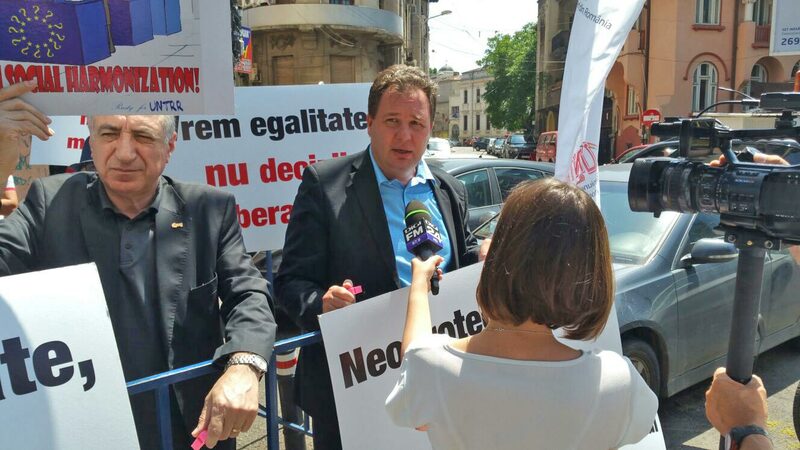 UNTRR has already received written answer of the Head of EC Representation in Romania that the joint Resolution of the road transport associations will be transmitted to Brussels. 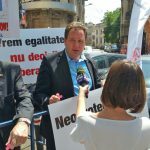 The joint Resolution to EC President, together with an UNTRR Press Release and Photos of UNTRR protest are published on UNTRR webpage. UNTRR has also transmitted to the French Embassy in Romania the Joint RESOLUTION against loi MACRON and protectionist measures in road transport addressed to Mr. François Hollande – President of France by ANTRAM (Portugal), ASTIC (Spain), AEBTRI (Bulgaria), CESMAD BOHEMIA (Czech Republic), CESMAD Slovakia (Slovakia), ERAA (Estonia), LATVIJAS AUTO (Latvia), LINAVA (Lithuania), MKFE (Hungary) UNTRR (Romania) and ZMPD (Poland). 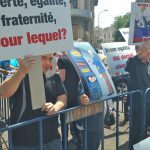 ZMPD protest took place on 31 May 2016 at 10.00 o’clock by the French Embassy and at 12.00 o’clock by the EC Representation. A group of 120-150 participants attended the protest. You can see photos at this link. A film from ZMPD protest is available here.